The Playback Theatre technique is used widely in both therapeutic and artistic settings. Although it is unique in its ability to serve both arenas simultaneously, Playback Theatre is fundamentally about creating dialogue and connection through the telling and witnessing/honoring of our life experiences. These stories may be about trauma, family, work, love, hopes, fears, regrets, dreams, desires, or transformation/transition—whatever the theme, every story from every community member deserves to be listened to with an open ear. 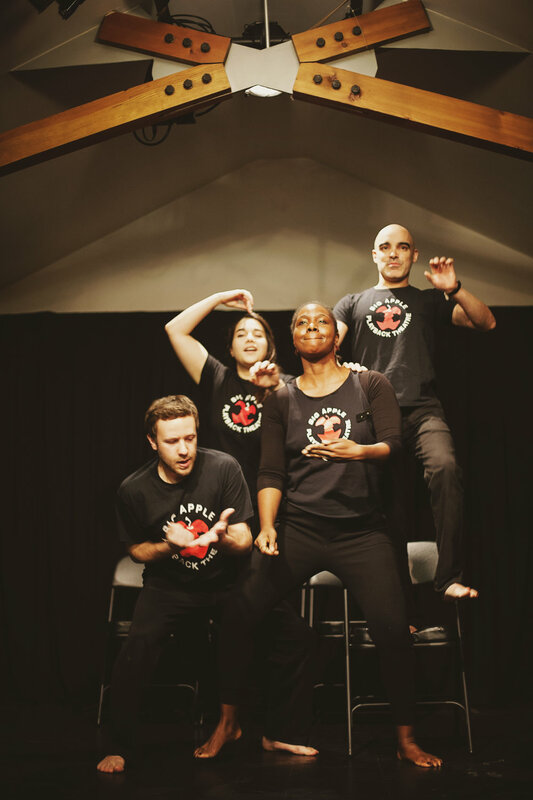 In Playback Theatre we attempt to honor our differences by celebrating our commonalties. PLAYBACK THEATRE is spontaneous theatre based on stories told by audience members. Life stories are shared, cast, and then enacted on the spot by a team of actors/dancers and a musician. Be they comic or tragic, our life stories are full of important moments worth sharing and remembering. Telling our stories to each other in a theatrical context is both redemptive and invigorating. Listening to the stories of our community is crucial as we strive towards a world without discrimination, rather a world full of compassion and inclusivity. The objective of Big Apple Playback Theatre is three-fold: to invite dialogue, build community, and to create compelling theatre. It therefore lives on the cusp between art and social change and provides opportunity for laughter, reflection, and connection. Inspired by the experimental theatre movement, psychodrama, and oral tradition of indigenous cultures, Playback Theatre was created in upstate New York in the 1970s by Jonathan Fox, Jo Salas, and the original PT Company. The method is now practiced across the world in sixty countries, and is used in a variety of settings including conferences, schools, colleges, prisons, hospitals, service agencies, and public theatres. 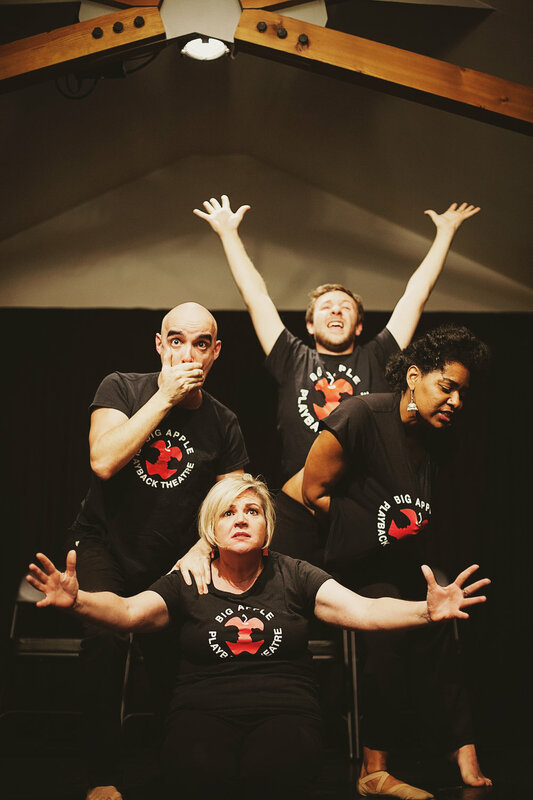 Big Apple Playback Theatre serves various populations and organizations.